‘Hate speech’ is not a new problem within the European Union; however, it is of growing concern. Over the past two decades, ‘hate speech’ incidents, motivated on various grounds, have increased in many European countries. This is often accompanied by an increase in the number of hate crimes being recorded. This trend appears to have been driven by the long-standing global economic crisis, and an increase in migrants and refugees arriving in Europe. A tense political discourse surrounding the role of the EU in responding to this, and ‘Eurosceptic’ rhetoric has also played a role. ‘Hate speech’ is reflected in the media, online and in political discourse, including sometimes in statements made by politicians and public officials. In many cases, the rise in prejudice and intolerance can be directly linked to a government’s own policies and communication strategies. 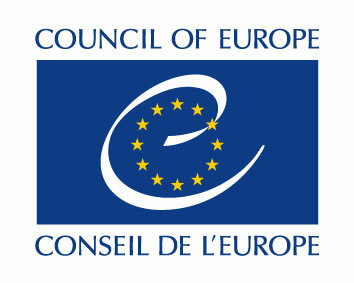 International human rights law requires states to jointly protect and promote the rights to freedom of expression and the right to equality: one right cannot be prioritised over another, and any tensions between them must be resolved within the boundaries of international human rights law. As established below, states are required to prohibit particularly severe forms of ‘hate speech’, which in exceptional circumstances can be done through criminal law. They are also obliged to create an enabling environment for the exercise of the rights to freedom of expression and equality, and to enact a range of positive measures for the protection of these rights. This report finds widespread deficiencies across the six countries’ national frameworks on ‘hate speech’ in terms of compatibility with applicable international freedom of expression standards, as well as inconsistencies in implementation of the available legislation. In ARTICLE 19’s view, these deficiencies render the legal framework open to political abuse, including against precisely those minority groups that laws should protect. Moreover, the six countries are failing to provide effective remedies to victims of ‘hate speech’, with their legal and policy frameworks insufficient to enable effective resolution of inter-communal tensions or poor social cohesion. This report includes recommendations to EU Member States for how to ensure better protection of both the right to freedom of expression and the right to equality. In March and April 2018, ARTICLE 19 will release individual country reports, providing an in-depth analysis of their legal and regulatory responses to hate speech. We have also produced an overview of best practice in responding to ‘hate speech’.